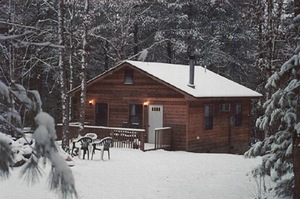 3 cabins each privately secluded on 42 acres. 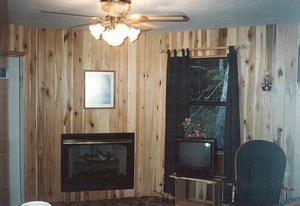 Each cabin is 2 bdrm. 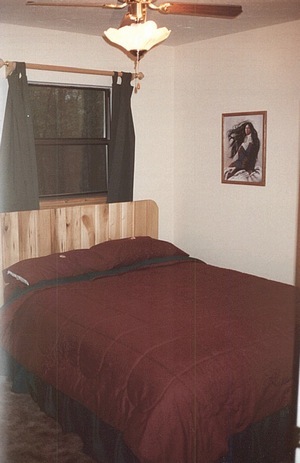 1 bath with queen sleeper sofa, washer/dryer, full kitchen with dishes, pots & pans, full size appliances, full bath, fireplace, outside campfire pit with charcoal grille and picnic table. Hot tubs sit on a screened back porch with pull down shades in a wooded setting. Peaceful and quiet. Nature trails on the property leading to the stream and pond. One main entry - no drive through traffic with perimeter fencing...a safe place. 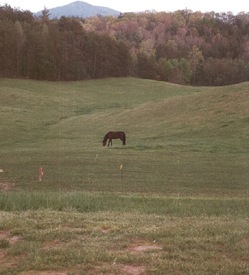 Get back to nature and relax at Trails End. Nature trails & private seclusion. 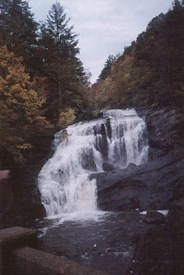 ATV Tours to Tellico ORV site, scenic mountain and waterfall views, caverns. Flat rates year round - reduced rates for S-TH (other). Rates based on two pers. Additional adults - $10.00, children-$5.00/daily. Will do discounts for extended stays. Deposit: $111.75 includes tax and is applied to total with balance paid at check-in. Cancellations and Refunds: 30 day cancellation policy - no refund on deposit of $111.75 if inside 30 days.